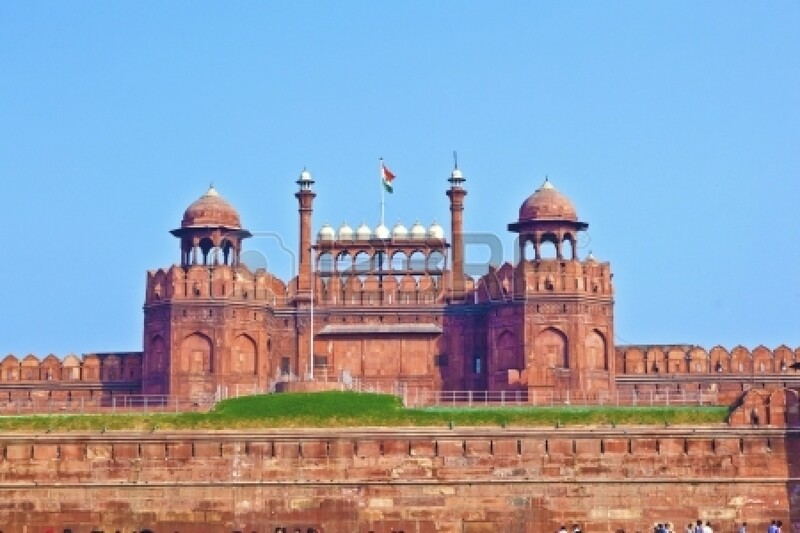 Rajputana India Tours has impeccably designed this 12 Nights - 13 Days Exclusive North India with Nepal Tour Package to give you a wonderful chance to explore North India along with Nepal. 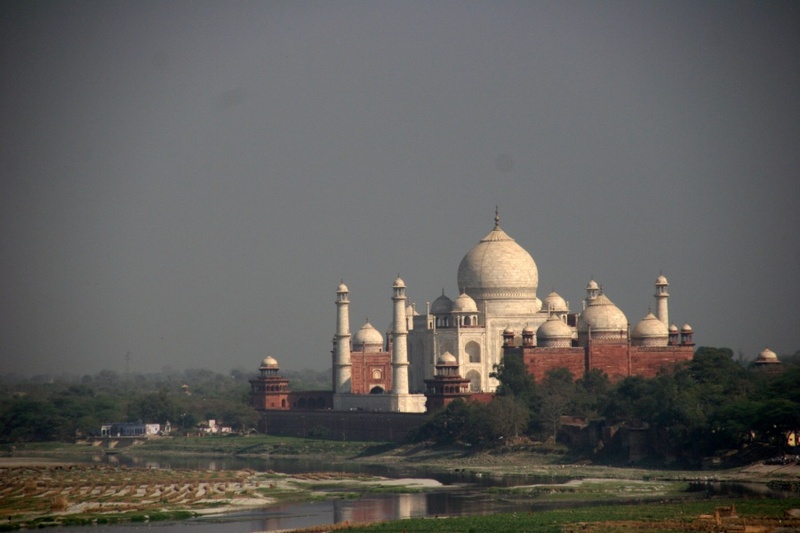 This Nepal Tour package enables you to visit Delhi, Jaipur, Agra, Orchha, Khajuraho, Varanasi and Kathmandu. You can easily book this package tour of Nepal to visit Taj Mahal, Chhatris Cenotaphs, Orchha Fort, Kashi Vishwanath Temple, Soyamhunath, Boudhanath Stupa, Pashupatinath Temple and many more. Upon your arrival at Delhi airport for Exclusive North India with Nepal Tour Package, our company representative will meet and greet you. Later you will be transferred to the air-conditioned car to proceed towards your pre-booked hotel. Rest of the day is free for independent activities or you can relax at the hotel for overnight stay. 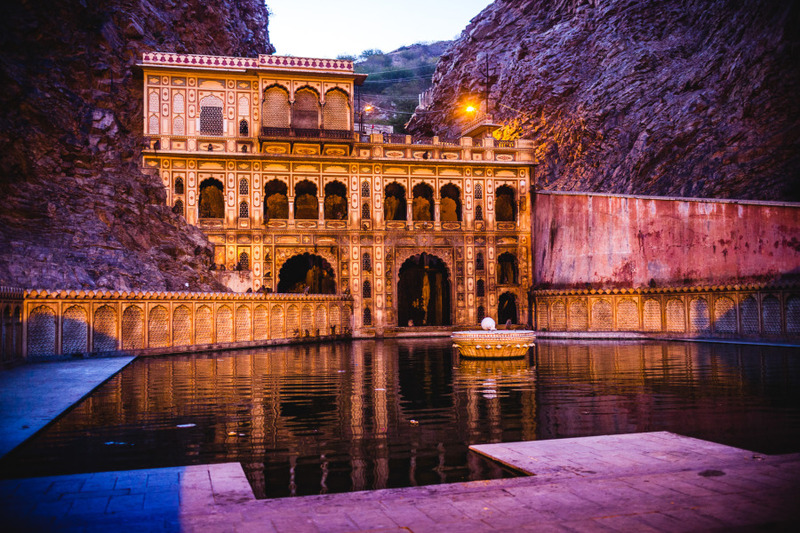 After having breakfast at the hotel, our company representative will transfer you to the air-conditioned car as you leave for Pink city of India – Jaipur. On arrival at this beautiful city, you will check-in the hotel for short relax. In the evening, you will go for dinner at Chokhi Dhani- an ethnic resort wherein you can enjoy Rajasthani folk dance, cultural activities and food. Return to the hotel for overnight stay. Meeting at airport upon arrival by Office Personnel. Transfer to hotel. 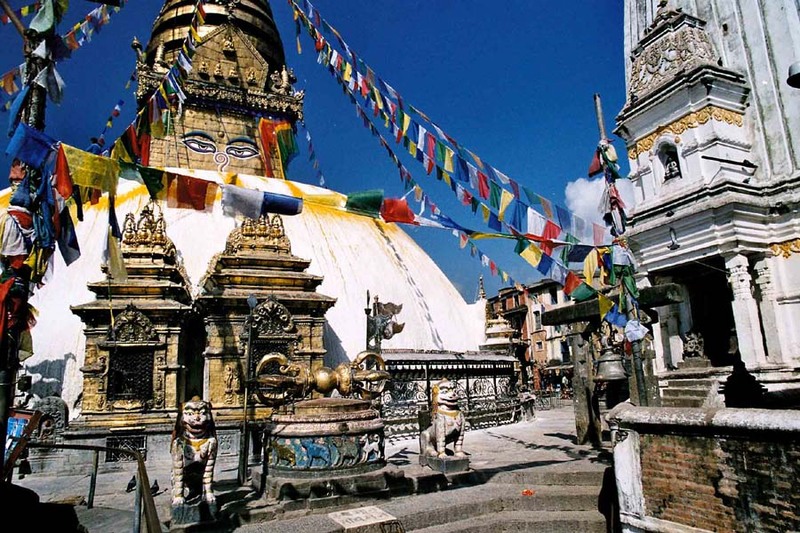 Kathmandu is the capital of Nepal and the Kathmandu Valley is the political and cultural heart of the Kingdom.The urban sprawl that makes up modern Kathmandu is in fact two cities, Patan and Kathmandu. After short relaxation you will take for sightseeing to visit Pashupatinath Temple- This is the place where holy saddhus pray. The Pashupatinath Temple is a famous, sacred Hindu temple dedicated to Pashupatinath and is located on the banks of the Bagmati River 5 kilometres north-east of Kathmandu Valley in the eastern city of Kathmandu the capital of Nepal. This temple is considered one of the sacred temples of Hindu faith .The temple serves as the seat of the national deity, Lord Pashupatinath. 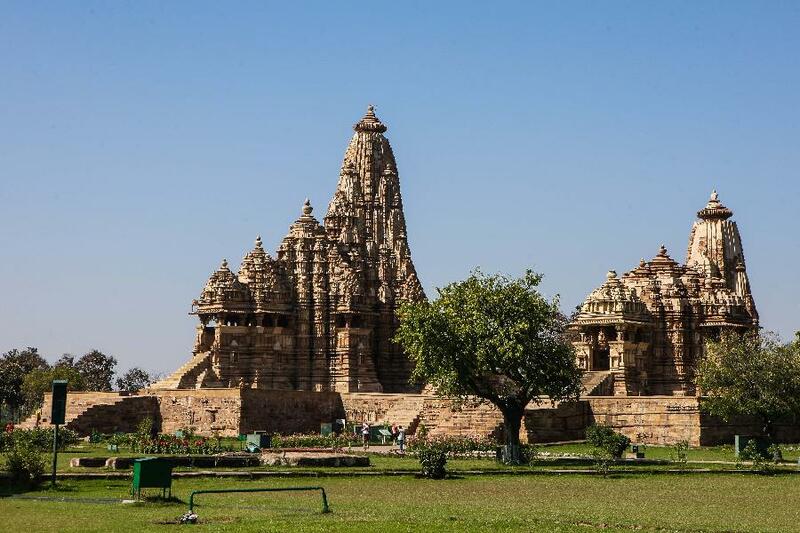 This temple complex is on UNESCO World Heritage Sites’s list Since 1979. This “extensive Hindu temple precinct” is a “sprawling collection of temples, ashrams, images and inscriptions raised over the centuries along the banks of the sacred Bagmati river”. We then continue to the holiest shrine for the Buddhist culture in Nepal, Bouddhanath, with its large stupa, this is the place where all devout Buddhists come for a pilgrimage. Overnight at the hotel. where you are taken by a cable ride of 10 mins. After reached Pokhara Check in to hotel refreshment, overnight a hotel. This morning you will take for excursion sunrise trip. Visit Sarangkot is the most popular tourist destination from where the tourist can enjoy the great view of the Pokhara Valley and the magnificent view of the mountains. Sarangkot is only 13 kms from Lake Side, Pokhara. Sarangkot is the highest view point for a sunrise and it is just 1592m high. Sarangkot is cooler than Pokhara. Sarangkot can be reached easily by 45 to 60 minutes by a car ride to the top from Pokhara. Many tourists come to Sarangkot for sunrise view and go back. Paragliding can also be done from Sarangkot. From Sarangkot, on the northern direction we can see Dhaulagiri in the far west. Annapurna range is visible when the weather is clear on the same side. On the southern direction the village overlooks the city of Pokhara and its lake on the north-western outskirts of the city. Then after you will be taken to visit Pokhara sightseeing places as per below; Bindebasini Temple – This is one of the oldest temples in Pokhara was a part of Kaski Kingdom, the main deity of the temple,Goddess Durga, was brought from India . Apart from the peace and tranquility that can be felt in this region, the premises of the temple offers a good view of the Himalaya on a clear day. The temple is in the area of the bazaar, hence,a journey of the old bazaar can be combined with a visit to the temple. Devi’s fall- also known as Patale Chango is an awesome waterfall lying 2 km southwest of Pokhara. During summer and rainy season, the waterfall takes its real form, with gushing water splashing and making its way through the rocks. Just opposite of Devi’s fall, on the other side of the road Gupteshwor Cave – This cave is popular for the different natural forms made from limestone deposits. Photography is strictly prohibited inside the cave. Overnight at hotel. Morning Breakfast at Hotel & drive to Kathmandu (210 KM /7 hours) after arrival Kathmandu check in hotel take a rest later process to Kathmandu sightseeing below spot, Swayambhunath – the golden spire of the 5th-century Swayambhu stupa is adorned with a colorful fluttering of prayer flags; it crowns a hill overlooking the Kathmandu Valley and offers fantastic views over the city of Kathmandu. Swayambhunath is one of the most recognizable symbols in Nepal and the painted eyes of Buddha watch all who ascend the worn stone steps.Budhanilkantha – Budhanilkantha is a Hindu open air temple dedicated to Lord Vishnu. Budhanilkantha Temple is situated below the Shivapuri Hill at the northern end of the kathmandu valley and can be identified by a large reclining statue of Lord Vishnu. The temple’s main statue of Budhanilkantha is considered the largest stone carving in Nepal According to one story, a farmer and his wife once struck a figure while plowing the field, which caused it to start soaking blood into the ground. This turned out to be the figure of lost deity of Budhanilkantha, which was recovered and placed in its present position.Another legend states that the statue was sculpted and brought to its current location in Kathmandu during the reign of the seventh-century monarch Vishnu Gupta, who controlled the Kathmandu Valley under the Lichchhavi king Bhimarjuna Dev. After Finishing sightseeing back to Hotel. Remaining time free for your own self Overnight Hotel. Morning will be comparatively free and closer to the time of your flight; you will be transferred to the airport in time to board your flight for onward journey.. We hope you enjoyed the tour and are sure you’ll be back in your trip Nepal again. You are saying good bye to the mountains as your journey in Nepal comes to an end today.